Star Wars fans take notice. There will be a special event to usher in the newest film at the Walt Disney World Resort. 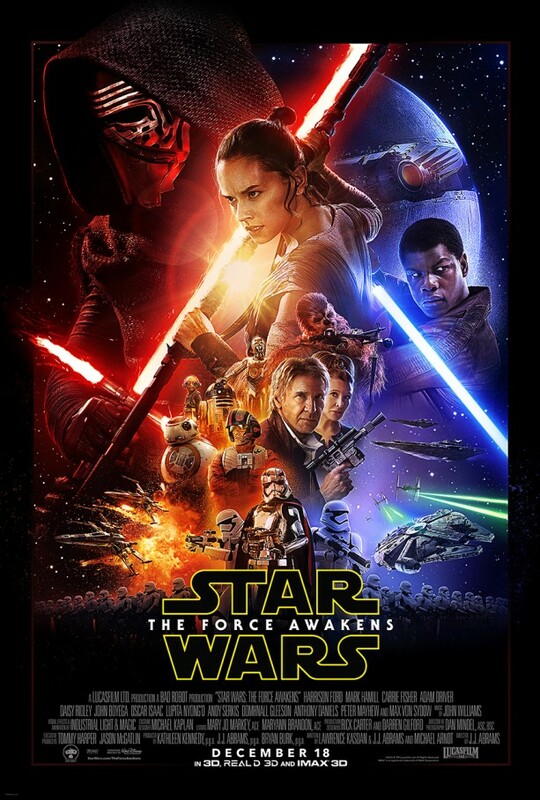 “Star Wars: The Force Awakens” Opening Night Event, a special ticketed event that’s planned for Thursday, December 17 at the Walt Disney World Resort for those who want to be among the first to see the new film and celebrate with fellow fans. Starting at AMC Disney Springs 24 between 7 and 8 p.m., guests of the Opening Night Event will have a confirmed seat at the first few public showings of “Star Wars: The Force Awakens” and then enjoy a private after-hours party at Disney’s Hollywood Studios until 2 a.m. The party will include access to the new Star Wars Launch Bay exhibit, the Star Tours – The Adventures Continue attraction, and a DJ dance party. The night will be highlighted with the preview of a new fireworks spectacular set to the iconic “Star Wars” score. Event attendees will also get a commemorative souvenir event ticket. Guests of the Event are encouraged to come dressed in costume showing allegiance to the light side or dark side of the Force. Please see the Costume Guidelines in the FAQs. The newest “Star Wars: The Force Awakens” trailer will debut in ESPN’s “Monday Night Football” Monday, October 19, during halftime of the National Football League (NFL) game between the New York Giants and the Philadelphia Eagles. Tune in to ESPN to watch the premiere of the final trailer or join your fellow Star Wars fans at Downtown Disney District at the Disneyland Resort in Anaheim, CA to watch the trailer on a giant screen outside AMC Downtown Disney 12 theatres. The fun begins at 5:00 p.m. counting down to the trailer release. 0 comments to "‘Star Wars: The Force Awakens’ Opening Night Event Planned For Disney Springs AMC Theatres in Florida"